Vintage shop owner in Shibuya sporting a pastel vintage fashion style with a long quilted coat, sweater over long pink dress, white velcro-strap sneakers and a quilted sling bag. Harajuku girls clad in stylish winter streetwear ensembles with furry leopard print coat, shearling jacket, turtleneck dress over tights, white sneakers, black boots & bags. Tokyo-based fashion designer wearing an all-pink look with a vintage white sweater in Harajuku. 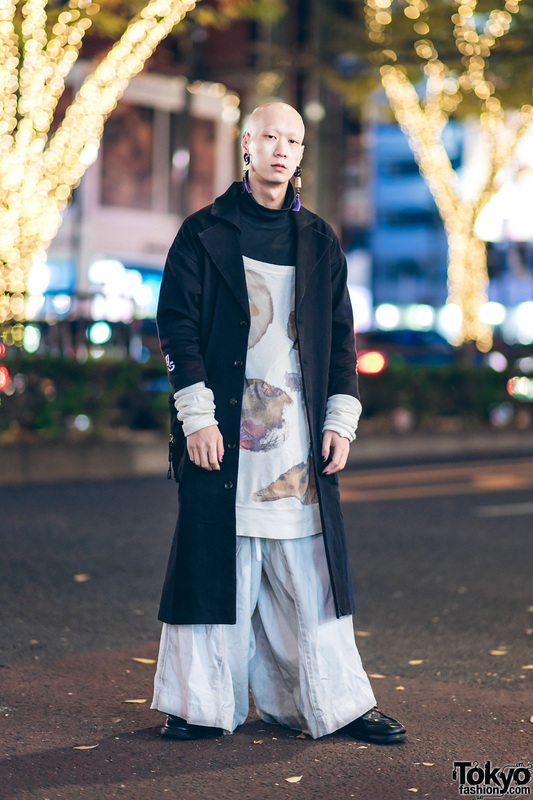 Harajuku guy wearing a white sweater, distressed black jeans, and black zip-up boots. Harajuku duo sporting casual blue-hued fashion styles while out and about. 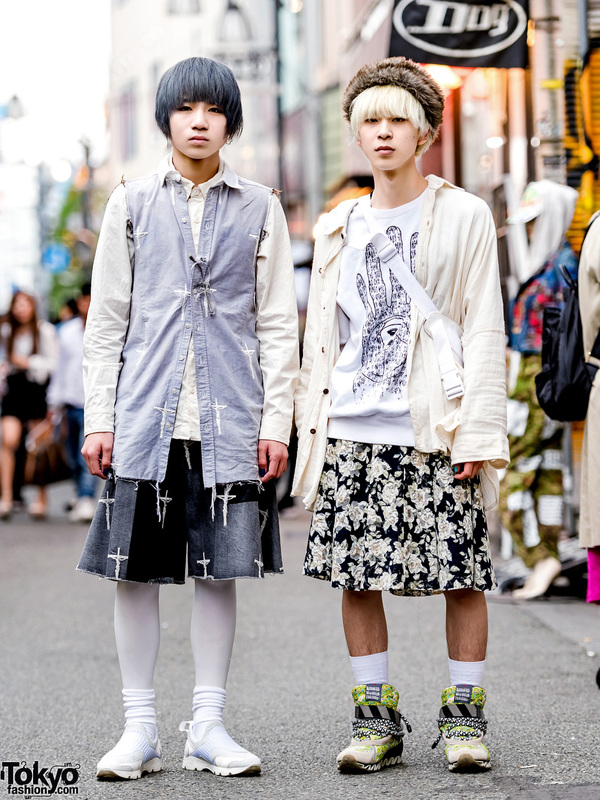 Stylish Harajuku duo in contrasting light and dark winter street styles.